We are offering Edge Banding Machine Maintenance Service. 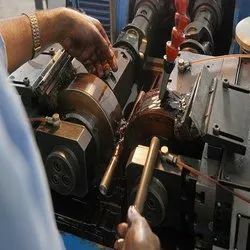 Abiding with the ethical norms set by the industry, we are offering highly distinctive and rich in quality Edge Banding Machine Maintenance Service to the market. Using highly contemporary tools, techniques of delivery and tools, these are provided to our customers with perfection. Moreover, we also offer modification facility for this range to our customers.